Dave Chappelle calls a room full of white people crackers. I am just kidding He does not do that. He tells jokes and stories. Dam-Funk and Ohio Native Steve Arrington of Slave are releasing an album together on Stones Throw called “Higher”, August 6th. That’s right L.A.’s Boogie Funk Master Dam-Funk is teaming with Steve Arrington who was the frontman for Slave. Dam-Funk and Stones Throw’s Peanut Butter Wolf originally met after Funk gave Wolf a rare bootleg of a Slave performance. So I am sure everyone involved is stoked. DAYTON — A group of Dayton residents is hoping to create a hall of fame for funk music in the southwestern Ohio city by collecting $10 donations from 10 million people. The Dayton Funk Dynasty Group held a news conference Friday to discuss details of the planned Funk Hall of Fame and Museum and urge fans of funk to contribute, the Dayton Daily News reported. Organizers hope the museum will be open within two years and that it will be the center of an entertainment district. The news conference was conducted on what would have been funk pioneer James Browns’ 80th birthday, and an account has been established at Chase Bank to handle any donations. Dayton Mayor Gary Leitzill, who helped present the group’s plan to city planners, said donations should not only come from funk fans, but also from rap artists who have profited for years from funk. Dayton native Brenda Curtis, a founder of the Dayton Funk Dynasty Group, said a local funk museum has been her dream for 25 years and that the Rock and Roll Hall of Fame and Museum in Cleveland is among the institutions the group is using as a model. “We took some of the most successful models that have to do with music and are bringing them all to Dayton and funking them up,” Curtis said. Some of funk’s most popular artists are from Dayton and other parts of Ohio. 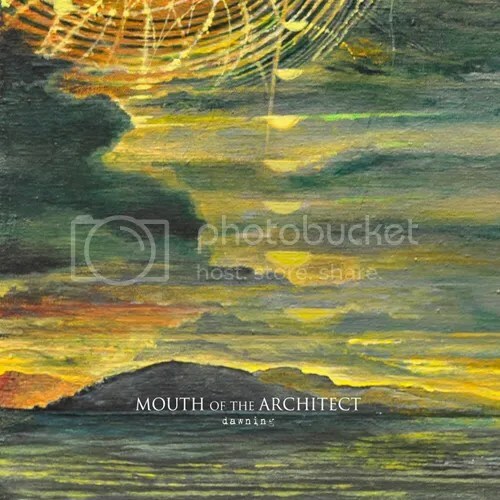 Dayton psychedelic sludge band Mouth of the Architect is celebrating their 10-Year Anniversary with a release of a new album called Dawning via Translation Loss on June 25th. The current lineup consists of drummer Dave Mann, guitarists and vocalists Steve Brooks and Kevin Schindel, keyboardist and vocalist Jason Watkins, and bassist Evan Danielson. Pitchfork previewed a new track It Swarms today. Cleveland Rapper Nick Fury and Dayton producer DJ Todd “I Love This Sound” radio rip from Conspiracy Wordwide Radio . Dayton, Ohio’s The Breeders will be performing the Last Splash at P4k. Yesterday, Leroy “Sugarfoot” Bonner passed away quietly in his hometown of Trotwood-Dayton, OH. While his family, friends, colleagues, and fans mourn his passing they celebrate fondly his memory, music, and legacy. Sugarfoot, or Foot, or Sugar, was the founding and cornerstone artistic talent of OHIO PLAYERS and the face and sound of the OHIO PLAYERS brand, which he knit together and launched in 1964 with former members of The Ohio Untouchables. With a career spanning 56 years, he passed barely short of his 70th birthday. Humble yet charismatic, soft spoken and of few words, the weight of his thoughts, lyrics, and music has influenced countless other artists, songs, and trends. He will be missed but not forgotten as his legacy and music lives on. More details and an official historical perspective of his career will soon be forthcoming. Sugarfoot’s OHIO PLAYERS are a funky-pop-R&B blend of master musicians surrounding the exuberant and soulful “Sugarfoot”, the signature Voice and personification of the original OHIO PLAYERS. With virtuoso bassist Trae Pierce, a second generation OP member, now returning to the band again, as Music..